NIAB EMR is a major organisation in the UK for research on horticultural crops and plants and their interactions with the environment. Our mission is to conduct high-quality research in horticultural and environmental sciences, and to deliver knowledge, products and services that benefit public and private customers. Our vision is to be recognised as the pre-eminent research institute in the UK, with a significant international reputation for strategic and applied research and innovation in horticulture, with particular emphasis on perennial and clonally propagated crops. NIAB EMR are the academic administrators for the CTP for Fruit Crop Research programme and will be providing the permanent base for the majority of the PhD research projects. The Plant and Crop Sciences community at the University of Nottingham is one of the largest in the UK, comprising over 30 research leaders and the quality of its outputs was highlighted in REF 2014 as particularly outstanding. The focus of the Division’s research is on the sustainability of agriculture and horticulture throughout the food chain and the approaches adopted are multi-disciplinary and multi-scale. Our aim is excellence in teaching and research to sustain a healthy supply of food. We study fundamental and applied animal and plant science, agricultural production; economic and environmental sustainability; food manufacturing, processing and consumption; the interaction between food, animal and human health; food safety, and the biotechnological processing of farm products. The University of Reading has an international reputation for research in Horticultural Science. It is responsible for the scientific curation of the UK National Fruit Collections (containing over 3,000 accessions of apples, pears, cherries and plums) and has expertise in horticultural crop physiology, genetics and epigenetics of crop plants and pest/disease modelling. The Department of Geography and Environmental Science has a recognised Centre of Excellence in Soil Science with expertise in microbial ecology, rhizosphere function and below-ground plant-microbe interactions. The School of Chemistry, Food and Pharmacy is one of the leading centres for research into food chain quality and health and has expertise in improving the nutritional quality and flavour of crop plants using molecular genetic approaches and environmental manipulation of pre-harvest growing conditions. The Lincoln Institute for Agri-food Technology aims to support and enhance productivity, efficiency and sustainability in food and farming through research, education and technology. A specialist research institute of the University of Lincoln, our multi-disciplinary team brings together sector-leading expertise in a diverse range of subjects. The Institute is directed by Professor Simon Pearson, who has almost two decades of experience in management and R&D roles within the industry, including at some of the UK’s biggest retailers and producers. 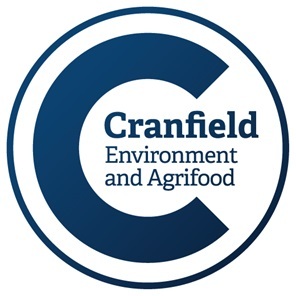 For 50 years, Cranfield has been contributing to enhancing natural capital and ensuring that global food systems are more resilient for the future. We are recognised worldwide by industry, government and academe for our research and teaching in plants, soil, water and air. Our strengths range from environmental governance and risk, to food security. We work with global and domestic agriculture and food companies, environmental agencies, and governments to ensure that our research benefits all in society. Set on a 550 hectare farm, we are the leading specialist university tackling the future development of our planet’s food production, processing, animal sciences, engineering, land management and sustainable business. We’re improving animal welfare, tackling food scarcity, and developing new farming technologies. Our research centres and academic networks bring together dedicated staff and facilities, academics from across disciplines, students, and the industry. Based around some of the biggest challenges that face agriculture today, the work they produce is shaping professional practice, government policy and the application of new technologies.